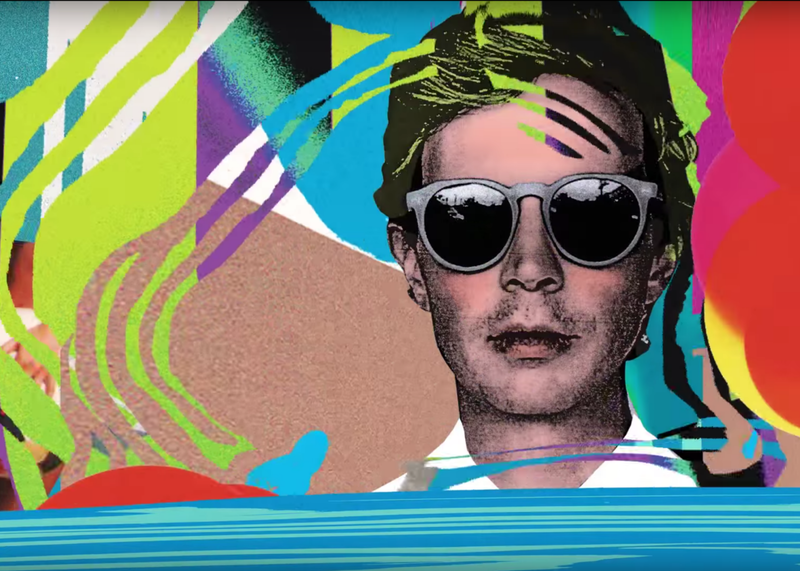 Beck’s new single “Wow” is a throwback to Odelay or Guero. “Giddy up!” So commands Beck at the beginning of “Wow,” his newest single, and he seems to be comfortably back in the saddle. The song rides some whistling synths (or are they slide whistles?) and a crunchy, skittering beat past a grab bag of psychedelic images and surrealist musings. (One example: “Girl in a bikini with a Lamborghini shih tzu.”) When the chorus arrives, the vibe goes from picnic to party, complete with a riffing sax and some wordless falsetto courtesy of Mr. Hansen himself. In other words, Beck hasn’t taken his Album of the Year Grammy for the much mellower Morning Phase as cause to keep still. Indeed, “Wow” sounds much more like the trippy, hip-hop–influenced, fan-favorite albums Odelay and Guero. Between this and last year’s MGMT-esque “Dreams,” it sounds like Beck’s next album will mark a return to his playful instincts. For many fans, that would be a welcome development.